Happy Easter to you all, I hope the Easter bunny has been kind to you all? So Easter in a free from house can be a tiny bit tricky, nuts and the infamous “may contain” message being the biggest hurdle ( for us anyway). 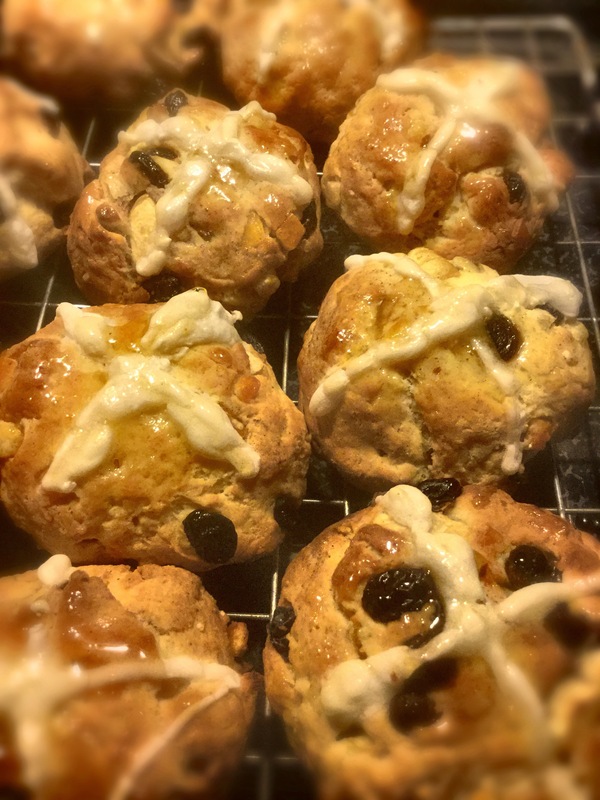 Whilst eggs haven’t been a problem ( I’m sure that hatching dinosaur egg will be a winner) cakes and hot cross buns have been difficult- cue me thinking in for a penny, in for a pound I’ll make my own. Now I’m no baker by trade, but I’m getting better, my bread no longer resembles rocks and more like crusty outers with a good soft dough inside- like I used to remember bread used to be like. So Hot cross buns it is. These are better eaten fresh or toasted the day after with butter. I’ve adapted this from various gluten versions over the years. 2-3 tbs of cold water. 2-3 tbs of orange marmalade or apricot jam. Heat the milk up and add the butter so it melts in the milk. Let this then cool until it is lukewarm. In a mixer bowl or large bowl add the flour, yeast, salt and caster sugar. To this add the milk and the egg and mix until a dough is formed. You can either use a dough hook or wooden spoon. The dough will be fairly sticky this is normal- do not knead it, this doesn’t work with a gluten free flour. Leave in a warm place, covered in lightly oiled cling film for an hour or so until it’s doubled in size and leaves a finger indent when pressed. After this time knock back the dough and add the fruit, Apple and cinnamon. Lightly oil your hands and form into roughly 100g size balls. Cover again and leave for another hour. To make the cross mix 30g plain flour keep adding a tbs of water until you have a thick paste. Put this in a piping bag and pipe your cross on each bun. Pop the buns in an oven at 200 C for about 20 minutes until golden. To make the glaze melt your jam in a pan and when the buns are ready brush over with a pastry brush, then leave to cool. These are best eaten the day you make them. Don’t fancy the cross? No problem serve cinnamon/ fruit buns at any time of the year. 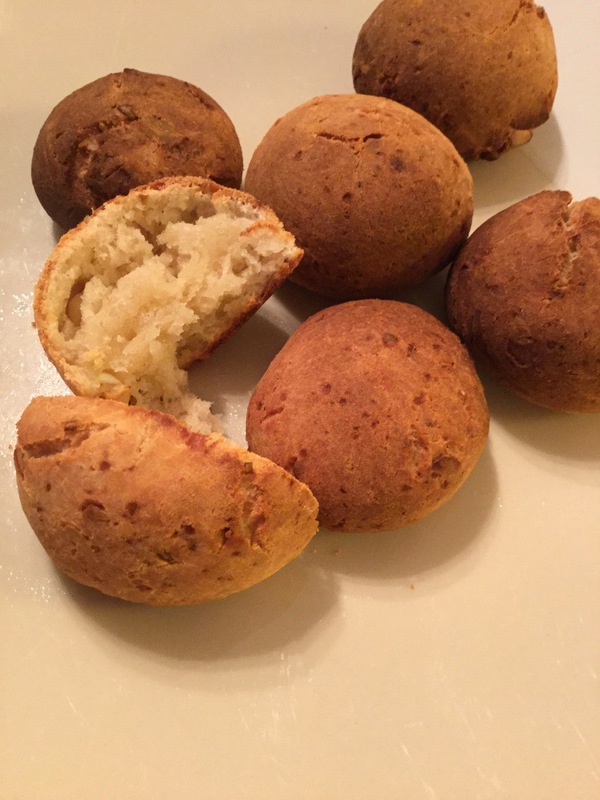 Do you have a good gluten free bread recipe? Let me know in the comments below. So it’s the first day of spring, and the gardens are starting to come to life. I confess this year will be rewarding after I went all good life last year. So my rhubarb is ready to pick so I’ve been playing around with recipes to see what I can come up with. This compote is first. 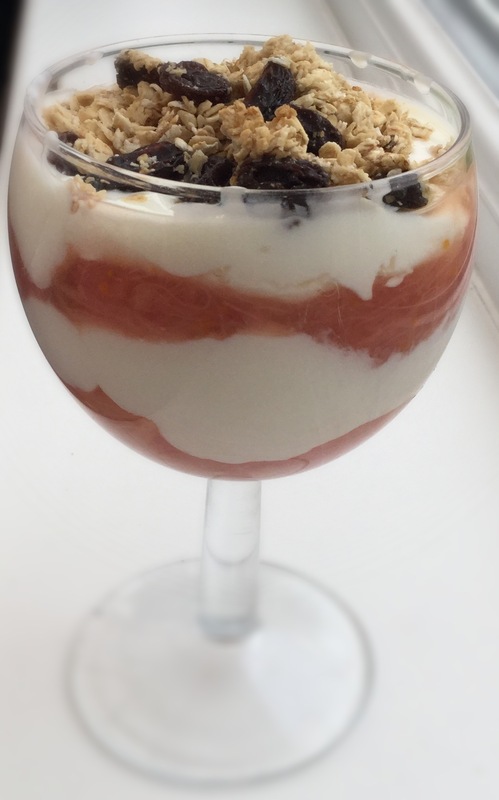 It’s great with yoghurt and granola for a breakfast, as a base for a fruit fool or a crumble. I love ginger and it works so well with rhubarb so this compote is delicately spiced as well. Even better it’s gluten free, nut free, suitable for those following a Paleo diet as well as vegetarians to. Put the rhubarb and ginger into a pan along with the Orange zest and juice. I also put a couple of table spoons of water in as well. Bring to the boil then turn the heat down to a gentle simmer. After about 5 minutes the rhubarb will be cooked (stewed). It will break down, but I prefer it when it still holds its shape a little. Serve however you prefer. 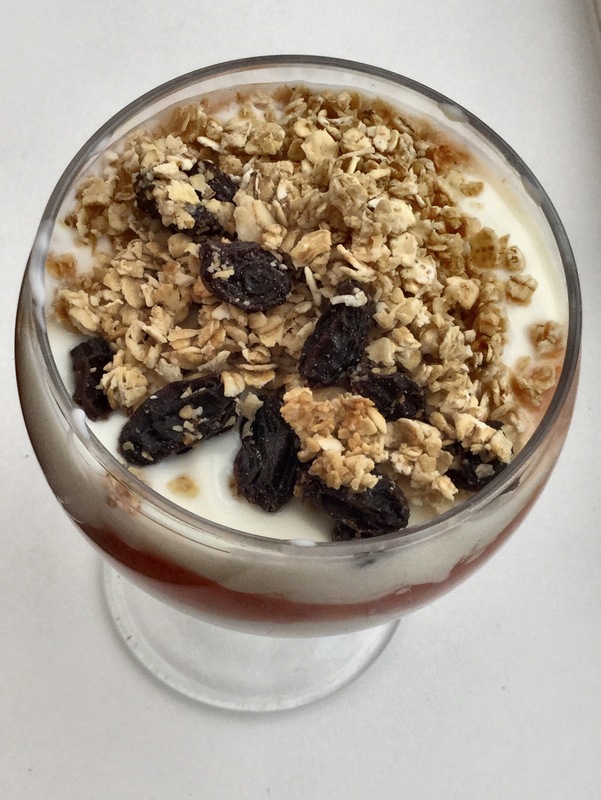 I’ve teamed it with soya yogurt and my homemade granola. This is one of those mid-week meals that are easy, simple and a cunning way to get vegetables into your fussy toddler. I also love the fact that once you have mastered the rich, tomato sauce you can adapt it to suit your tastes. 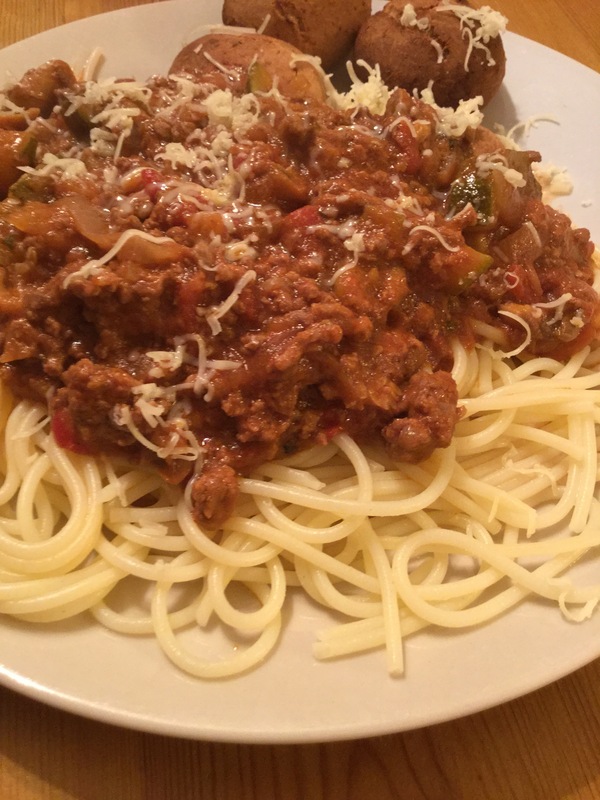 If you don’t want pasta, use spiralised vegetables (butternut squash or courgette work best), if you are vegetarian omit the meat or use quorn. If you are busy in the day, use a slow cooker and come home to very little left to do. 200g dried pasta or spiralised veg. Heat some oil in a heavy bottomed pan, And gently fry the onions, crushed garlic clove, mushroom and courgette for about 8 -10 minutes over a medium heat until the veg has softened. Turn up the heat and add the mince and brown off the meat. If you are using a slow cooker at this point I put this into the dish. I then add all the other ingredients apart from the pasta, give it all a good stir, and leave to cook on the low setting for at least 6 hours. If using the cooker method now stir in the tinned tomatoes, dried herbs, basil and wine . Let the sauce heat until you have a gentle simmer. Turn the heat down, put a lid on and let it gently ” plop” for about 15 minutes. Stir occasionally so it doesn’t catch. In another pan heat some water for your pasta. Cook your pasta or vegetable spaghetti according to the packers instructions. I like to add a spoonful of the pasta water to the sauce- the starch gives it a silky texture but you don’t have to do this if you don’t want to. A few minutes before serving you can also stir some Parmesan cheese into the sauce if you like. Drain the pasta and serve with a generous spoonful (or two) of your Bolognese on top. If you didn’t use the wine in the dish- have it now with your dinner you deserve it. I should add I served this with dough balls from Tescos new dough mix. See Here for the link. Thank you for reading. I hope you enjoy the recipe. These are the new kids on the dairy free block, and I think I can hear the whoops of joy from here. £1.34 from the new, and very much improved, Free From section in Morrisons gets you this two pack. Something for all tastebuds I think you will agree. Not only this they are also gluten free, nut free ( I jump for joy here) and suitable for those on vegetarian and vegan diets. So how does it taste? On opening the pot you can see generous amounts of fruit inthe yogurt. This is something I like. 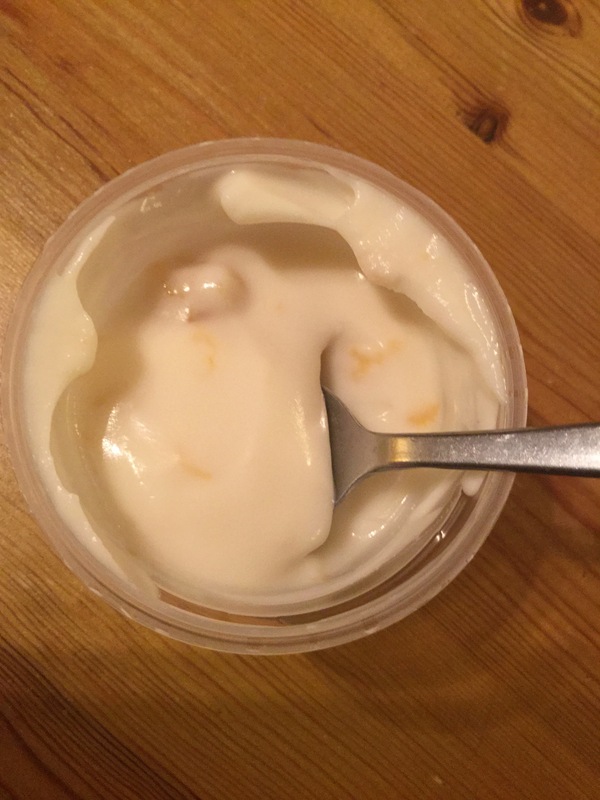 The yogurt itself is creamy and silky to taste. 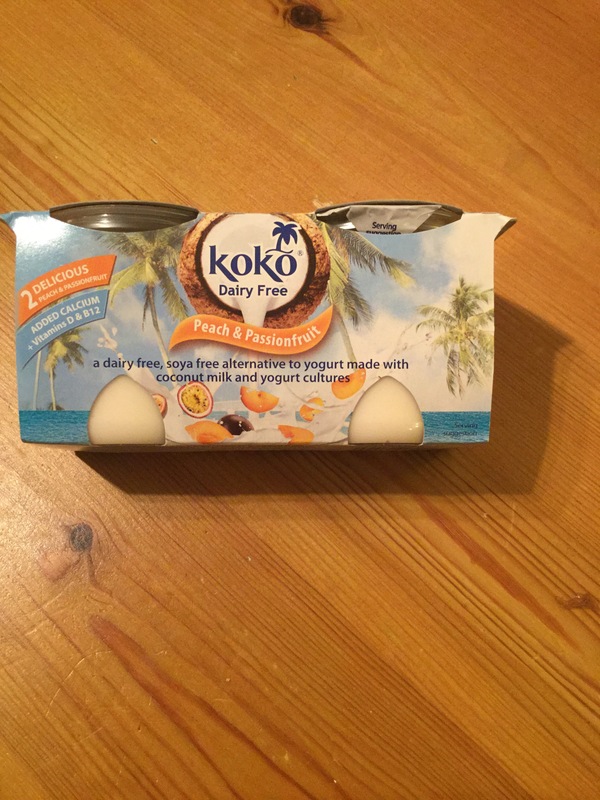 It’s different to a dairy based yogurt- that is to be expected obviously but it’s also not as harsh/ bitter to the taste as natural coconut yogurt- I can see this being great for parents. 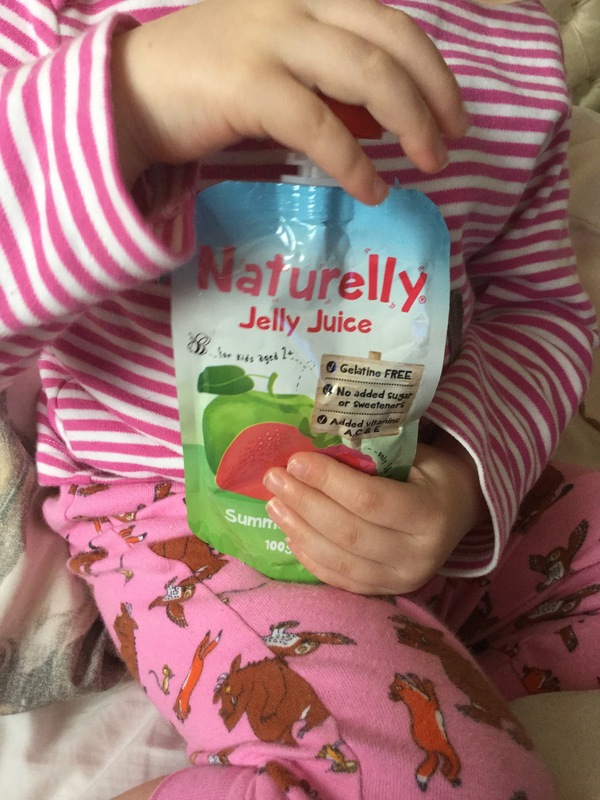 My little one loved this flavour and the strawberry. It’s great she eats and doesn’t moan (mum 1- Toddler 0). For me I found it sweeter than my usual taste, although I’ve been cutting down on refined sugar so in all honesty I find a lot of things sweet at the moment. So will we be buying them again? Too right we will, and well done Koko on the great product. You can find more info on them Here. Have you tried these or any of the other flavours? Let me know your thoughts in the comments below. Disclaimer- I purchased this product myself, and all views are my own (and truthful). 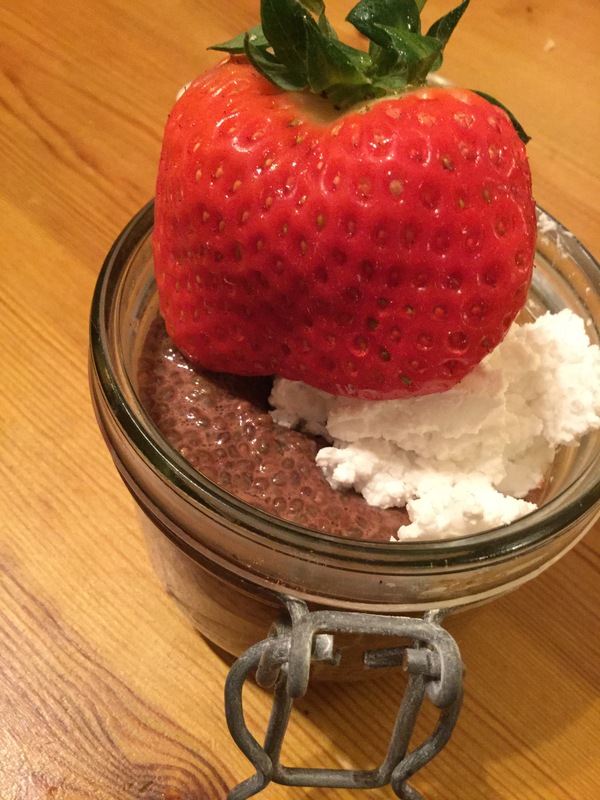 This is so easy to make, I love Chia puddings. 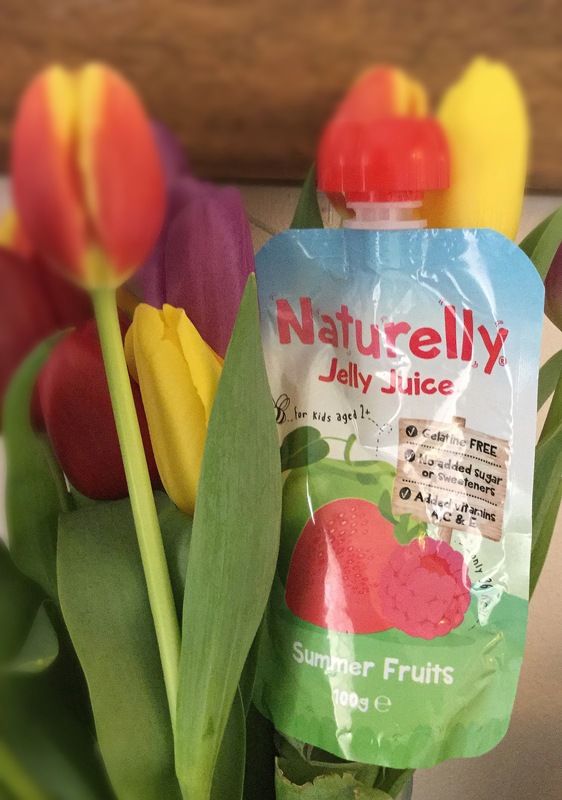 They take about 5 minutes to make and if you put it in a jar then perfectly portable when mornings are rushed and time is short. The texture reminds me of my childhood of tapioca puddings. These clever little seeds are not only nutritious, but expand when introduced to liquid giving a tadpole effect. Now if this isn’t your bag you can also blend the pudding which gives the most creamy texture, there are no hard or fast rules- adapt it to suit your taste. 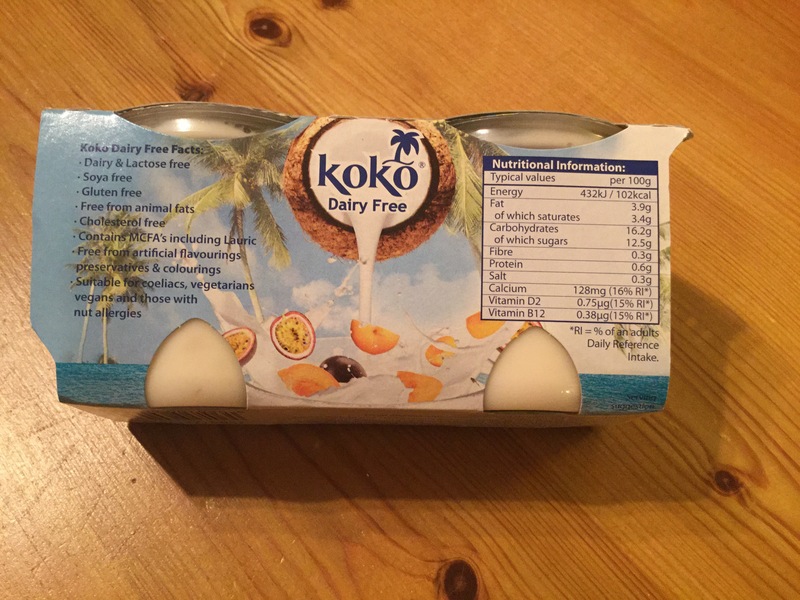 I also need to mention that this is gluten free, dairy free (depending on the type of milk used), can but nut free and suitable for a vegan diet as well. 125 mls milk (I use coconut) if you prefer it runnier then use a bit more. 1-2 tbs Sweetener of choice agave, date or maple syrup work better. Put the chia seeds, milk and cocao into a bowl and mix well to combine. Add the sweetner and mix again. I then pour into jars to be left over night. After about 30 minutes it’s worth shaking the jar- this stops the seeds clumping together. Leave in the fridge for atleast 4 hours, but best over night. I’ve served with fruit and CoYO coconut yoghurt. I need to say, if you don’t like the texture, you can blend it all in your blender, for a thick, creamy pudding. I find if you do this, leave out the agave ( or what ever you have used) and used 3-4 dates instead. They work so well with blended chocolate. 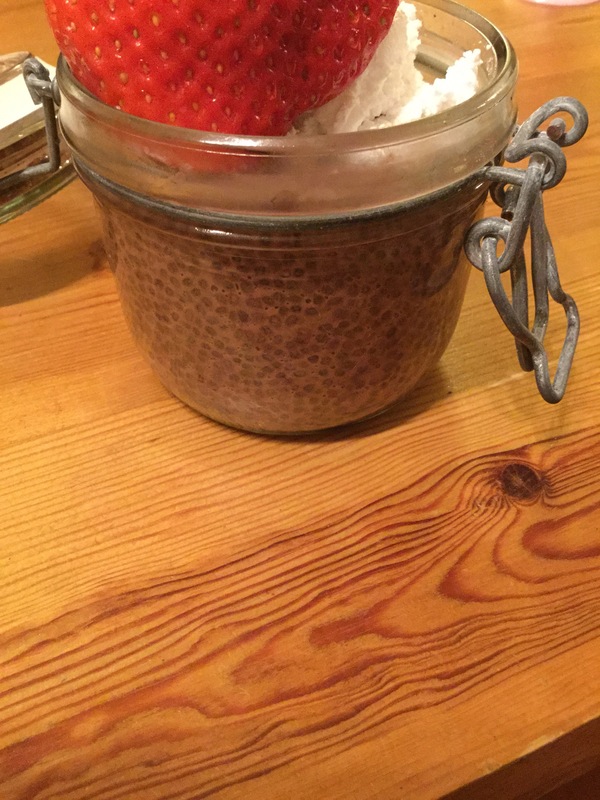 Have you tried Chia puddings? Let me know what your favourite combinations are. I spotted this packet in the free from aisle of my local Tesco along with a new pancake mix as well. 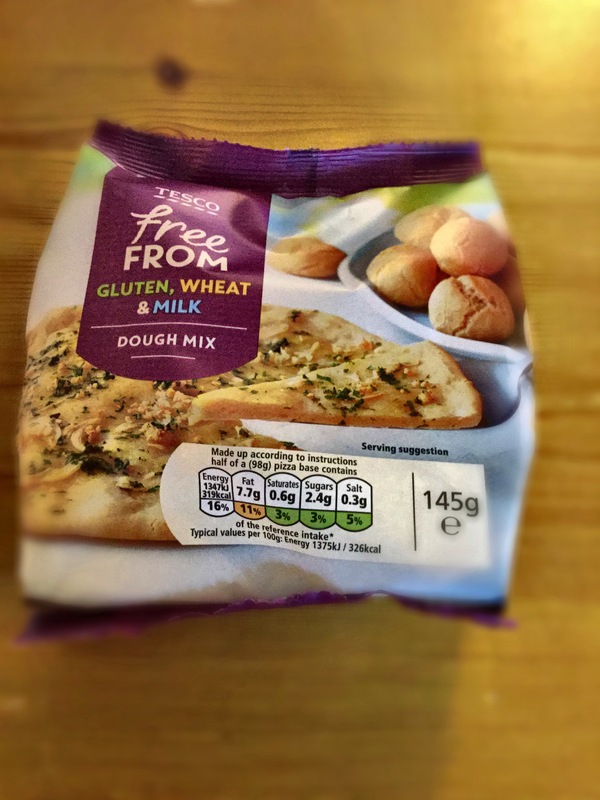 The packaging caught my eye – well the dough balls on it if I’m honest. It’s been years since I’ve had anything like the ones I can vaguely remember from the likes of Pizza Express and at £1.20 I thought it was good value so why not? I should add the mix can be used to make either pizza bases or dough balls. The method of making either is the same. 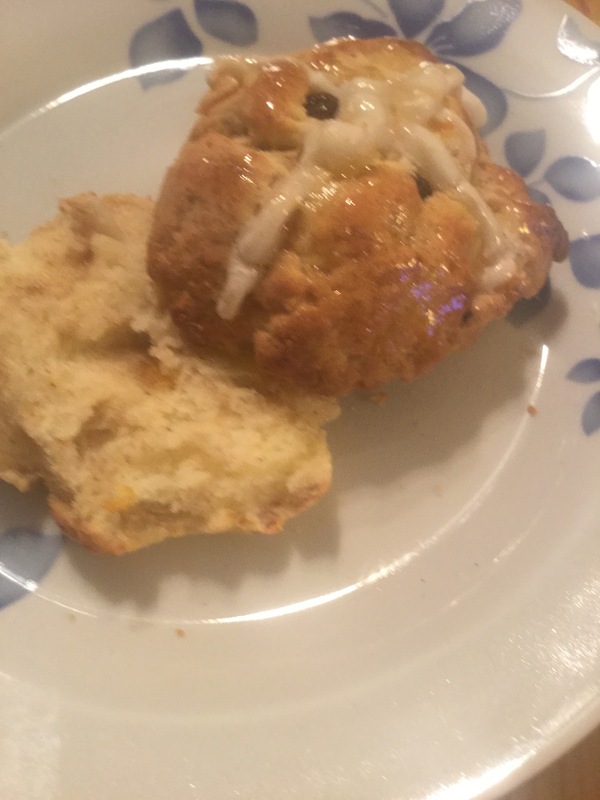 It’s so easy as well, even the most kitchen shy could make these. Mix until a dough is formed. For the pizza , once shaped the dough needs to prose for 30 minutes. Shape into a base or dough balls, the packet said 8 although I made 6. So how are they? They were lively and crispy on the outside with a warm, soft bread in the centre, and in my opinion much better than the pre made frozen ones that Tesco sell. On my next attempt I am going to try putting mozzarella in the centre for a cheesy dough ball, and I’m yet to try as a pizza base, but for the price and texture/ taste I will be buying this again. Oh and I nearly forgot its both gluten and dairy free to. Have you tried this or the pancake mix yet? Let me know your thoughts in the comments box.